At NIU, we value diversity and practice inclusion. 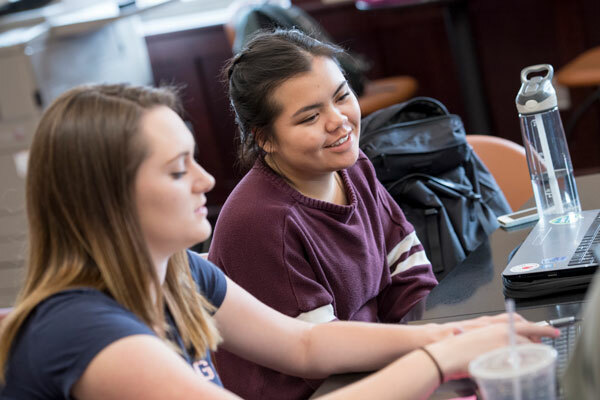 Whether you’re a student, employee or visitor to campus, we’re dedicated to providing the accommodations you need to have a positive experience at NIU. Get accommodations for your education. Read about documentation for accommodations. Learn how to request an interpreter for a course. Explore support services on campus. Get accommodations for your job. Learn how to request an interpreter for an event. Read about creating accessible webpages on the NIU website. Explore resources for accessible teaching. Include the statement of accessibility on your syllabi. Review our FAQ about student accommodations. 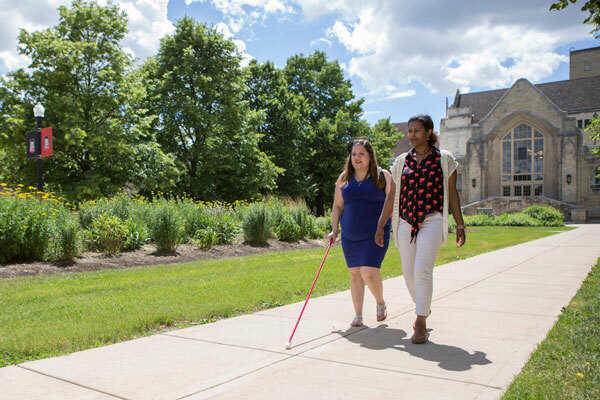 Do you have a family member with a disability who is attending NIU? Our resources for families will help you support them. 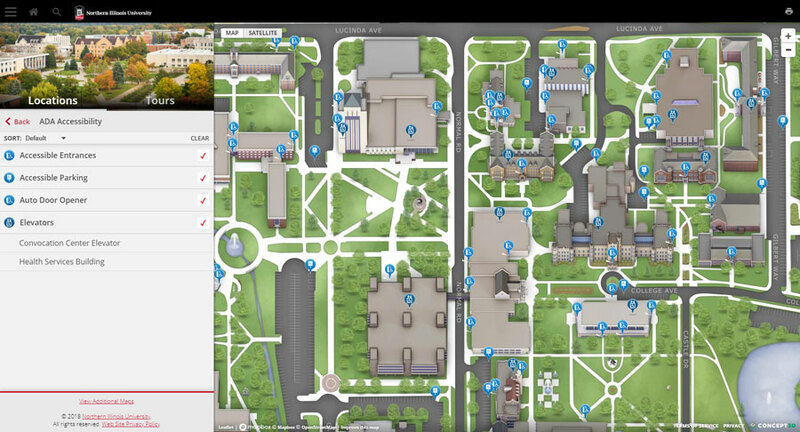 Visit our interactive campus map to locate accessible parking, building entrances and elevators. To see accessible entrances and parking, automatic doors and elevators on campus, visit the campus map. NIU offers parking options to individuals with handicapped permits. We also provide accessible transportation options. The Disability Resource Center provides accommodations for students. The Presidential Commission on Persons with Disabilities educates the campus community and advises the president on disability-related issues. Reach the NIU information technology accessibility officer at it-accessibility@niu.edu. Illinois Information Technology Accessibility Act 2.0. Section 508 Standards for Electronic and Information Technology. Purchasing, Developing, Maintaining and Using Accessible Technology Policy.